Begin at the tips of your toes and envision the blood flowing throughout your body to the top of your head, the Crown Chakra (Sanskrit) or your Ori (Yoruba). Once you are focused on your blood flow, tune in to your breathing pattern. Breathe in through your nose (if possible) and out through your mouth, making an "Ohhh"or "Ahhh"sound as you exhale. 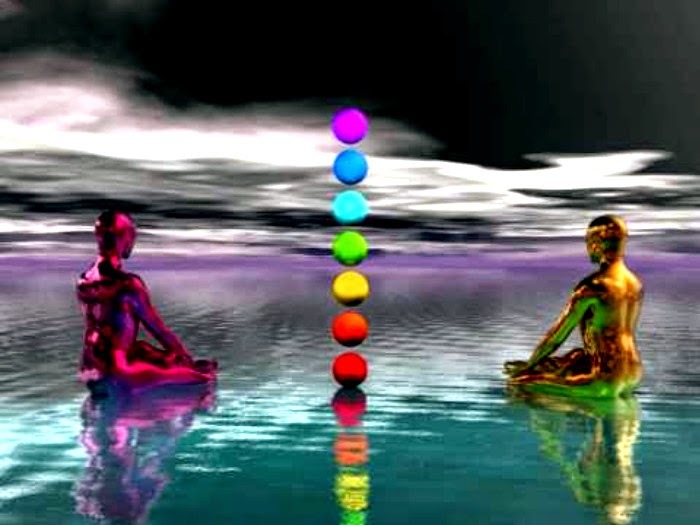 Once your breathing is regulated, allow your body to relax and your mind to focus on the calming colors of the rainbow. Allow the relaxation to occur naturally...allow and relax into the still energy. Create a picture in your mind of the color red. Enjoy the color red for some moments. Fill the entire visual field of your mind's eye with the color orange. Enjoy the feeling of relaxation you are experiencing. Now it is time to return your attention to your regular activities. Stay in your new calm and let your calm "color" the rest of your day. Stretch your muscles...open your eyes. Enjoy.